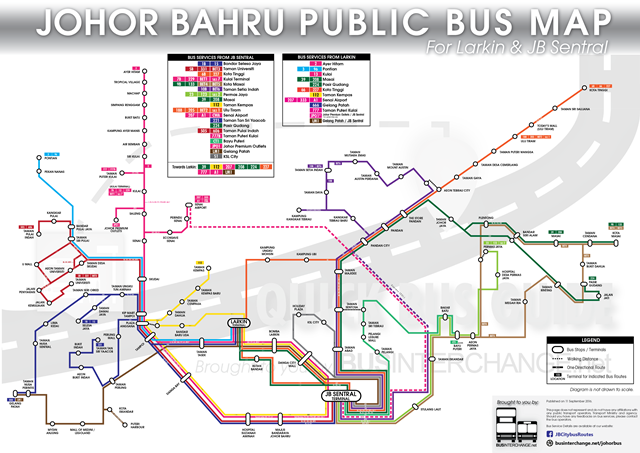 From 13 January 2018, a new bus service operated by Travel Ministry Pte Ltd will begin operations, providing direct connectivity from the central Singapore at Ang Mo Kio and Bishan, to Paradigm Mall Johor Bahru (JB). Opened on 28 November 2017, Paradigm Mall JB is said to be the largest shopping mall in Johor, which has attracted many visitors from Johor Bahru and Singapore. 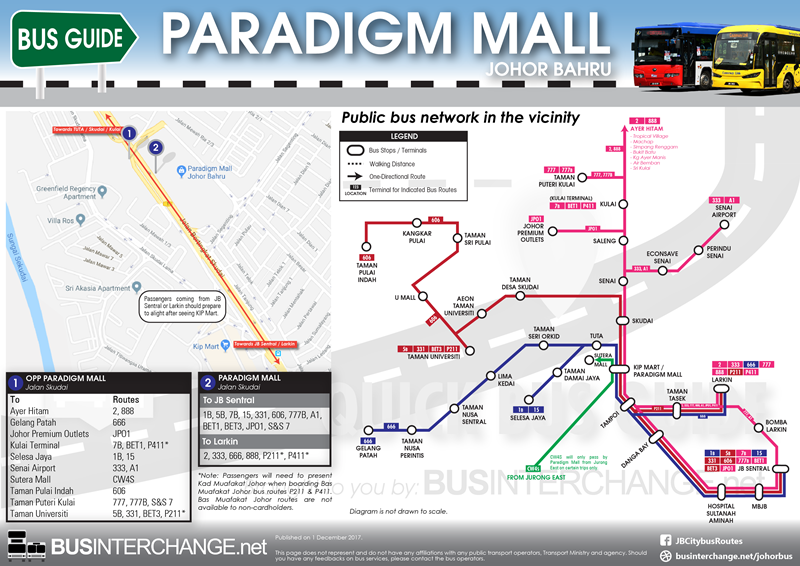 The existing JB public bus network have been providing convenient access to the new mall from various towns and the city centre. Announced on the tour agent's Facebook Page "Take Me To Malaysia", one trip will be provided in the morning from Singapore and one trip back from the new mall in the evening, costing S$18 both ways. 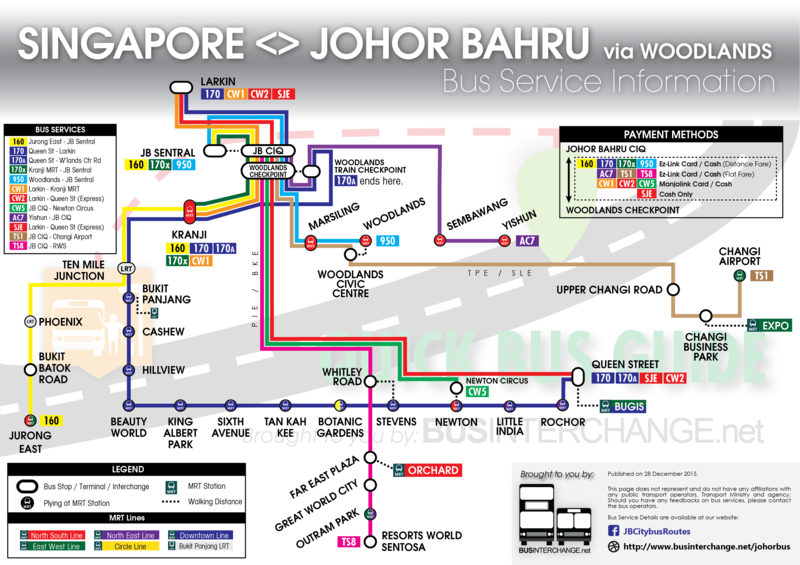 The bus trips will be operated via Second Link (Tuas). This new service will operate from 13 January 2018 to 11 February 2018 on Saturdays and Sundays only. Booking and payment for the bus tickets must be made through Easybook. Passengers are able to check out the availability of the bus trips at the booking website too.